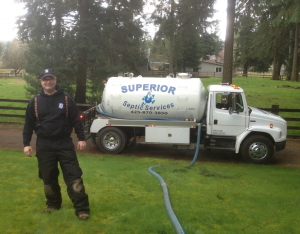 If you’re looking for Snohomish Septic Pumping, make sure to check out Superior Septic Services. With over 25 years of experience in the industry, we can handle any problem that arises with your septic system. We offer septic pumping, scheduled service, inspections, and portable toilets. We offer both On-Site Sewage disposal System Pumping and RV Pumping. No matter how large the job, we have the equipment to handle it. For those with smaller driveways, we have small trucks available that can complete the job. We can also repair any part of your septic system that you suspect is broken. If you want to take a look at potential problems before digging, we have specialized camera equipment to make sure you’re taking the right next step. If you have any questions or notice possible symptoms of septic system problems, let our years of experience help troubleshoot and find solutions to the problems. 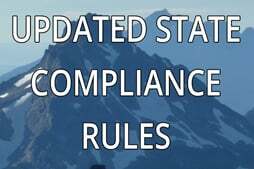 County required Operation and Maintenance (O&M) Inspections: These are required by state law and are managed by counties. Your county program and fees may vary. Home Sale Inspections: If you require an inspection for home sale, we can perform transfer of title inspections. We also perform routine, non-O&M inspections for routine maintenance. We also provide tank locating and cleaning services. If you don’t know where your tank is located, we have electronic transmitters that we can flush and follow to your tank. Is recommended that your septic system be cleaned every 6 years as build up from normal usage cause slow drainage. If you’re looking for affordable Snohomish Septic Services, contact Superior Septic Services at 425-905-2485 or online by clicking here.